Home / Financial Advisors / Financial Advisor Center / Can Starbucks Stock Keep the Growth Spigot On? Starbucks (NASDAQ:SBUX) will be reporting its 2019 fiscal first quarter ending Dec. 31, 2018 after the markets close Thursday. This report is highly anticipated as it will answer the basic question of whether SBUX stock is a growth business or if it’s turning into a cash cow. The difference will weigh on the stock’s valuation in terms of the market willing to bid up Starbuck’s price-book (P/B) and price-sale (P/S) ratios. Right now, considering the light nature of the company’s assets, Starbucks’ P/B ratio is a whopping 74.3x. And on a P/S basis, SBUX is trading around a more reasonable 3.33x multiple. With a stingy 2.17% dividend yield — despite raising its distribution by an average of 24.29% over the past five years — and a payout ratio of roughly 39%, Starbucks stock holders must see more growth or more income to justify owning it. So far for this year, along with a generally recovering broad market, SBUX shares are up 1.7%, which lags the S&P 500 Index’s gain of 4.9%. Even more telling is how SBUX trails the S&P Consumer Discretionary Index’s gain of 7%. But that recent underperformance distracts from the trailing year’s outperformance of the stock. In 2018, Starbucks stock returned 11.75% versus the broader market’s 7.39% decline. Meanwhile, the Discretionary Index finished the year basically flat. For SBUX to outperform in 2019, it needs to show investors that it’s on the right track. In addition, the company has been deploying capital to ramp up delivery services throughout its networks of stores in the U.S., select European cities and via Alibaba (NYSE:BABA) in China. There are some other items that I’ll be looking at to see how they play out for the report including the coffee-product coop with Nestle (OTCMKTS:NSRGY) for its packaged goods. I’ll also be closely observing its digital data and payments programs for its regular customer base. In addition, we’re now getting more of look at the change in accounting rules under the Financial Accounting Standards Board (FASB) and the change in revenue recognition under rule ASC606 for unredeemed gift card balances also known as breakage revenue. The rule allows some speed-up in revenue recognition which could be used to puff-up the quarterly numbers. A lot is expected of this company — particularly for this quarter. A warm-ish set of numbers won’t cut it. And if there are any signs of challenges, I could see a pullback in SBUX stock. Considering the softer Chinese economy, blaming slowing consumer growth isn’t an acceptable excuse. I like the company, many of its products (excluding its food items) and the stock … but I would prefer a better focus on costs and a larger dividend payout. So, I’ll be looking at the report for a better handle on the direction of management for the company and how the stock should be valued. For now, I’m still maintaining my recommendation to buy Starbucks below $69. 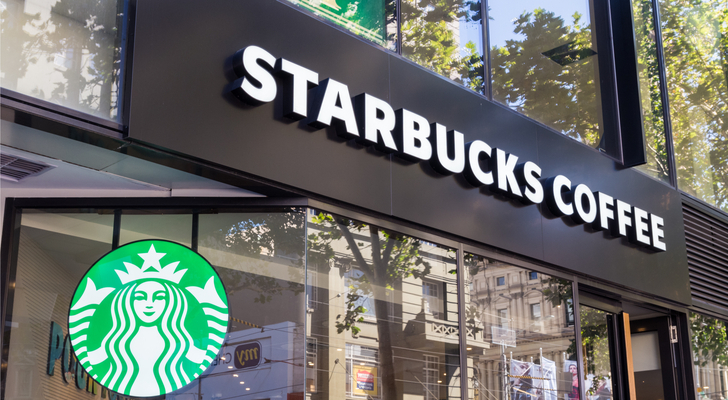 Article printed from InvestorPlace Media, https://investorplace.com/2019/01/can-starbucks-stock-keep-the-growth-spigot-on/.